Jewels of Opar is a somewhat succulent herb, up to 3 ft tall, growing from tuberous roots. Leaves are elliptic to obovate, up to 12 cm long, much smaller below the inflorescence, slightly fleshy. 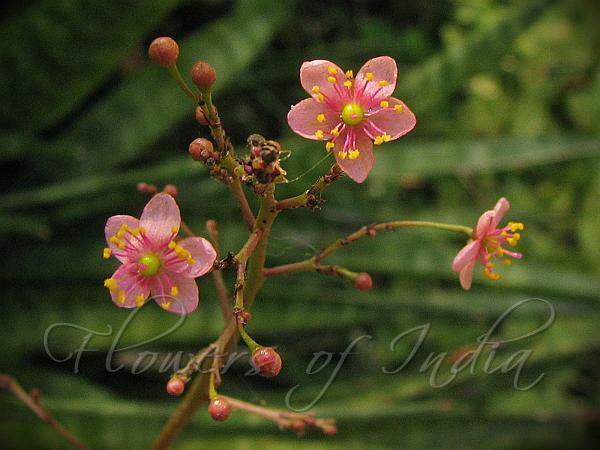 Flowers are borne in lax, many-flowered branched inflorescences, bright pink, up to about 1.2 cm in diameter. Fruit a glossy dark red capsule, 3-5 mm in diameter. The individual flowers, on airy stalks, are small, but are nice massed together, especially with the red bead-like buds and fruits. A favorite with bees. 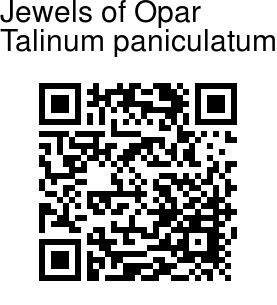 jewels of Opar is native to Africa. Medicinal uses: Naturalized globally, Jewels of Opar has a long Chinese medicinal history. Sweet and neutral, used for loss of energy, and problems associated with lungs and spleen. Photographed in Maharashtra Nature park, Mumbai.